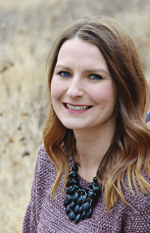 Melissa Willson Assistant at Harrison & Mecklenburg, Inc.
Melissa was raised in Kingfisher and and after high school graduation attended the University of Central Oklahoma in Edmond. She married her husband, Randall in 2000. After staying home to raise their 3 children for 12 years, she joined Harrison & Mecklenburg, Inc. in January 2016. As one of the newer member at the law firm, she is learning about all things. She answers the phone and assists the attorneys by preparing various legal documents and title exams. Melissa enjoys spending time with family and friends, attending her children’s many activities and vacationing. She and her family attend Lifeway Church where she serves on the Lifeway Kids Staff each week. She is also active in PTO and the Spirit Shouters Booster Club.